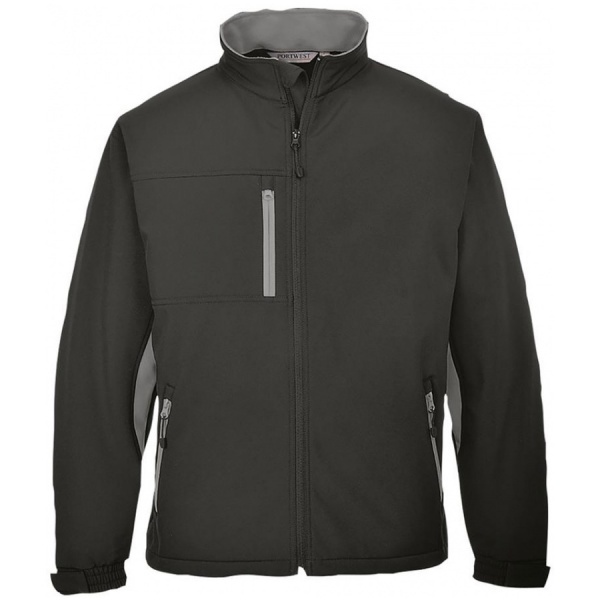 Fashonable and dynamic, the two-tone softshell is a fantastic addition to the popular Portwest Texo range. This style has a longer scoop back and uses seam free panels to reduce bulk. 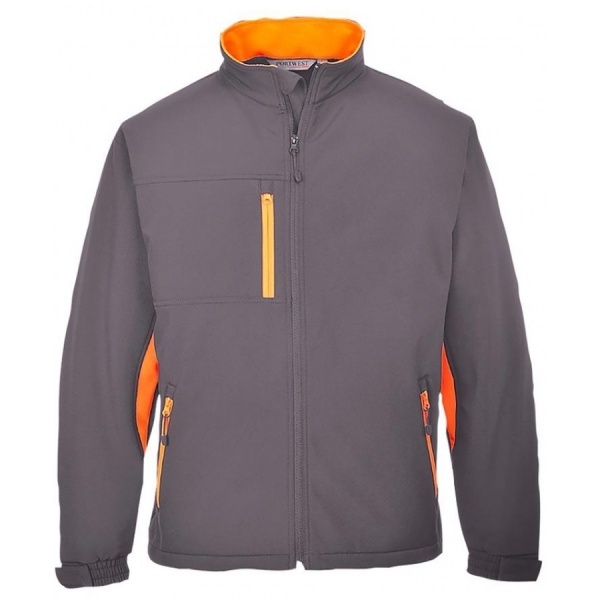 Multiple zip pocket are a convenient feature.